Ah, I didn't win the lottery. So sad, I had such wonderful plans. 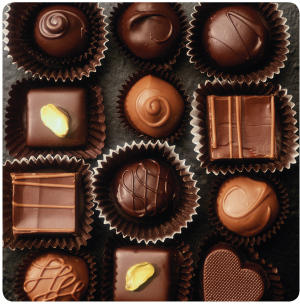 In this week's happiest of news, we learn that people who eat chocolate more weigh less. Who know? Yes, I went out and got me some chocolate, per the New York Times suggestion. Dr. Golomb’s study, published in Archives of Internal Medicine and financed by the National Institutes of Health, involved roughly 1,000 adults. The researchers looked at data on how often they exercised, the amount and type of calories they ate — including a breakdown of the types of dietary fat they consumed — and how their health and weight related to their chocolate intake. On average, the subjects were middle-aged, exercised about three times a week and ate chocolate about twice a week. There was no breakdown of the kinds of chocolate they ate, whether dark, milk or white. The people who ate chocolate the most frequently, despite eating more calories and exercising no differently from those who ate the least chocolate, tended to have lower B.M.I.’s. There was a difference of roughly five to seven pounds between subjects who ate five servings of chocolate a week and those who ate none, Dr. Golomb said. So nice to read something positive. I'm still recovering from the sadness of learning that diet soda is bad for your heart (are there no guiltless pleasures?) and that red meat is also on the no-no list. 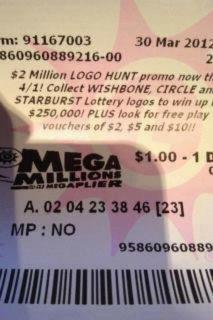 So the first thing that showed up on my Twitter feed this morning was a picture of the winning lottery ticket. No, it wasn't any of our Shrink Rappers and it wasn't anybody I know personally. I can tell you that I would definitely not be tweeting my win to the entire world. Somebody is going to live to regret that. Help Me Spend the Big Bucks. I bought my first ever lottery ticket today. Okay, I bought 20. I wanted a real chance. 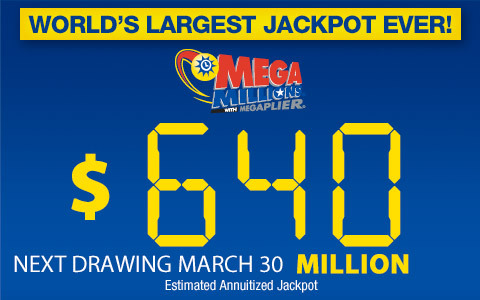 The Jackpot is $640 million. That's a lot of money! I had to go to two places: the first store was sold out, and the second was a convenience store with a long line and a clerk asking if anyone wanted anything besides lottery tickets. Okay, when I win, how should I spend my big bucks? Over on our Clinical Psychiatry News, ClinkShrink talks about the fate of those who have psychotic episodes at work that make national news. You can read her thoughts Here. She mentions the Jet Blue pilot who became combative and perhaps delusional enroute to Las Vegas and was held down by passengers, and the airline flight attendant was escorted from her plane last week. It's bad enough to have an episode of mental illness---if that's what this was-- but to have it announced on national news makes the recovery all the more difficult. I imagine that once an event is so public, an employee's stint with that particular organization may be over, though Clink thinks that if an individual makes a full recovery, s/he would be protected by the ADA. I'm not so sure about this. I think there are things that can happen as a result of mental illness (or drug use, or a bad reaction to a medication, or as a result of a metabolic or structural abnormality) that there is no going back from. So who are these mentally ill people? And what do we mean when we speak of "the mentally ill?" Community based studies showed many people-- I'm thinking the number is 56%- have a lifetime prevalence for psychiatric disorders, including anxiety disorders, phobias, and substance abuse disorders. If someone had a bad episode of depression that resolved years ago, are they mentally ill? What if they remain well for years but only if they stay on medication? How sick do you have to be and for how long to enter the club? I'm not so sure that does it for me. I'll let you chime in. No no, we're not reviewing what it means to be "crazy." I recently finished reading Pete Earley's book, Crazy: A Father's Search Through America's Mental Health Madness. Fives stars, two thumbs up, all the way. It was a quick and engrossing read, I think I got through the whole book in three sittings. Mr. Earley starts with the story of his son, a young man just finishing college, who becomes delusional and disorganized. Efforts to clarify a diagnosis and get him treatment are a bit difficult, in part because he doesn't really want help, and perhaps because these efforts span two states as the son is in school in New York but the father lives in Virginia. Earley goes to NY to fetch his son, and alarmed that he is so delusional, disorganized, and talking about death, he takes him to an Emergency Room in Fairfax, Virginia where he is told that the son can't be committed against his will unless he has already had a suicide attempt. The son goes home, does some strange things, then breaks into a random house where he shatters pictures, leaves water faucets running, and takes a bubble bath. He's no longer in the voluntary psychiatric system, per se, but is now charged with felonies that will prevent him from ever being licensed in his chosen profession. A plea bargain is reached-- for misdemeanors/probation/treatment-- but in court, the prosecutor can't cut the deal because the homeowner-victim won't allow the crime to be pled out without a felony charge. Does the victim really get to call the shots on what a criminal is charged with? Earley is understandably frustrated with the system and all the roadblocks in everyone's way. He's worried about his son's future, and a bit terrified that his son will get sick again. Mike can't catch a break, and his diagnosis and criminal record seem to call his life to a halt for a while. The son does well on Abilify and Earley could be their spokesman. 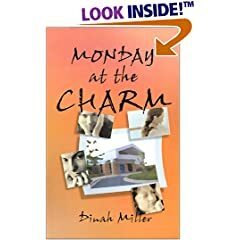 The author decides to explore the system by spending a year following patients in the Dade County (Miami) jails and talks about a psychiatrist he shadows who sees his patients for an average of 12.7 seconds. Earley describes a whole jail unit full of really sick people who are combative, catatonic, and treatment-resistant, in a way I've never seen in nearly two decades of work in community mental health clinics. Never....well.... Clink says this is all in a day's work for her, but it's not routine stuff for outpatient psychiatry. The psychiatric unit he describes in the jail is disgraceful, with cold, naked prisoners lying on the floor next to the toilet, in need of blankets and kindness. It felt like a human zoo, only in animal zoos, the creatures are treated better, I hope. The tales Earley tells are sad ones, the people he follows end up still sick, imprisoned, or dead, and the system he describes simply doesn't work. And the patients, some of them are so sick that there is simply no place on earth for them, and Earley faults the state mental hospitals for releasing them. Even a well-monitored forensic patient ends up doing well, getting a job and living with his girlfriend, only to kill her. It's all just horrible. Real life outpatient psychiatry isn't so bleak, and while there are some awful and sad stories, there are many people who do fine. I felt badly for Mr. Earley because he chose the most dismal of places to search for answers, and I think (or at least I hope) it's unlikely his son will end up in such devastation. Along the way, he talks with other parents and becomes involved with NAMI. The author does a good job of getting inside the mental health system. I didn't agree with him on his easy separation of substance abuse and mental illness, and I don't think we know that drugs don't cause mental illness; they certainly exacerbate it, induce symptoms that mimic it, and make diagnosis and treatment nearly impossible in some settings. Mr. Earley is a proponent of involuntary treatment. He talks to people while they are living on the street, eating from trash bins, victimized by rapists and robbers, and he doesn't buy that people should have the right to live this way. Earley twice quotes Wisconsin psychiatrist Darold Treffert as saying they get to "die with their rights on." He wants state hospitals back and he wants them to treat patients humanely. 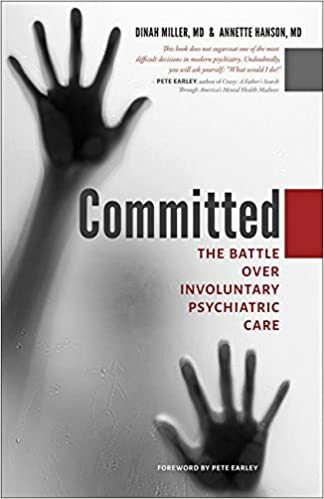 If you oppose involuntary treatment under any circumstances, read this book: it will either change your mind or raise your blood pressure. I read today in BusinessWeek about an L.A. startup called Therapick.com, that makes short videos of therapists being interviewed about their practice and style, and allows people to search for therapists based not only on the usual location, insurance, and gender, but also on those intangible qualities best gleaned from a video. 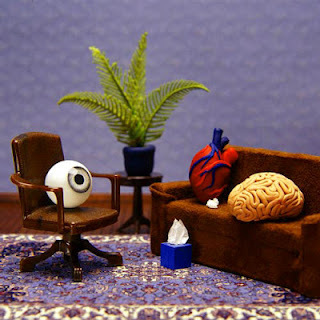 Finding a therapist is a personal experience. On Therapick, you can search videos, read profiles, and email therapists you might want to work with. If you don't like the vibe of a psychologist, counselor, or psychiatrist, move on to the next one. It's that simple. Our videos let you choose. We've interviewed hundreds of licensed psychotherapists in Los Angeles, Chicago, New York, the Bay Area, and many other popular cities to give you the best selection for individual, couples, and family counseling in the United States. Whether you're looking for psychotherapy, marriage counseling, or even hypnosis, Therapick's videos give you a better sense of who a therapist is before going in for your first visit. Sounds like an interesting idea. What do you all think? I'll shut up now, I promise, but I wanted to create this space for anyone who'd rather comment here. Usually ClinkShrink posts about shooters. It's really not my area of expertise, but lately I've been struck by how many shootings there have been. I'm wondering if this is a more common occurrence lately, if it's more publicized, or if I'm just paying more attention. There was the teenager who killed 3 students and wounded two others at a school in Ohio. A Florida teacher killed the head of his ex-school after being fired . A gunman walked into a psychiatric hospital in Pittsburgh and killed one person and wounded 6 others. A U.S. soldier in Afghanistan killed 16 civilians in their homes, including young children. I suppose the story of the teacher is different in that it was a murder-suicide where the shooter knew the victim and had a motive-- such tragedies do happen often and their news coverage is often limited to local news-- while the other shootings sound to have random, multiple victims, and no obvious motive. I've actually never heard of a mass shooting in a psychiatric hospital. Any thoughts? Maybe ClinkShrink has some insights. I'm not feeling quite so popular today. Over on the Baltimore Sun's website, Clink and I have an op ed piece talking about our views on Medical Marijuana. Ah, most of the commenters don't agree with us, and while many of the remarks are thoughtful, many aren't. 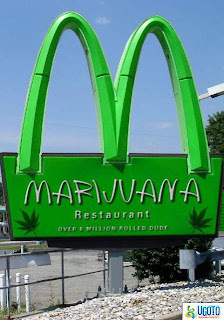 Does smoking weed interfere with the ability to spell? I got one phone call from a gentleman (no name, blocked number) telling me I need my head examined, that marijuana is the safest substance known to man, I shouldn't be popping my mouth off and I know nothing. Okay, so I know what I'm going to write about for our Clinical Psychiatry News blog this week. ....who are apprantly "psychiatrists." Make sure next time you disclose the sources of your income for us....BIG PHARMA. Also, how many patients would you lose if pot were lagal and you didn't have to prescribe Prozac every day? 50%? 75%? 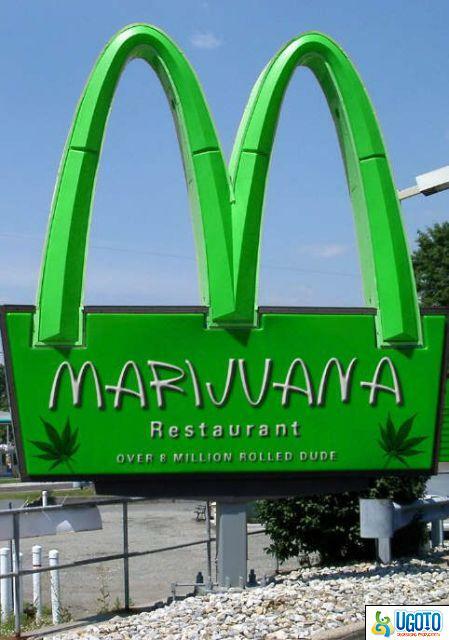 Marijuana is plant and should not be regulated like drugs at all. Drugs kill. Drugs are dangerous. Marijuana is not. On a lighter note, we talked at Suburban Hospital on Thursday evening. Over 80 people showed up...on a week night, at 6:30 pm, no less....to hear a bunch of psychiatrists~! It went well from what I could tell, lots of questions, very few people ran out of the auditorium screaming. I felt very honored that so many people would come out to hear us. I did want to share with you that part of Clink's talk was to read some of the comments we got on the post What is Bipolar Disorder? I've given talks with Clink a number of times now, but I didn't know she was going to do this and her reading of the comments was moving. Sarebear, if you're reading this, I wanted you to know that when she was reading your description of bipolar disorder, I was thinking that you need to become a writer. Call (301) 896-3939 to register. Where Did All The Psych Beds Go? Roy likes to write about Emergency Departments and Bed Availability for psychiatric patients, but this one came to me, so I'll borrow the topic while he's away. The pell-mell closures of inpatient wards at Mohawk Valley Psychiatric Center and at other Office of Mental Health (OMH) facilities around the state are unfair and unwise. The cuts will shift costs to localities even as they rob the same communities, especially Utica, of much-needed jobs. New York state law formerly required a full year of public notification when OMH planned to close or downsize inpatient services. But last year, Gov. Cuomo wrote into the state budget a provision that authorized ward closures on 30 days’ notice and facility closures on 60 days’ notice. Coates goes on to say that the Governor has chosen "expediency over community needs." Yet cutting services to vulnerable patients with no serious public discussion of the impact on our communities, with no regard for the human hardship upon patients and their families, is as irresponsible as it is outrageous. For many individuals in Mohawk Valley, no one is really sure where they are going. But they are leaving maybe the only home they ever knew. Maybe the only place they ever felt safe. Mohawk Valley is not perfect but it’s certainly better than the streets. And now the system has failed them – the system itself is failing. The mental health system is stretched to the breaking point already in NYS. Closings are just going to make it worse. People are going to end up on the street. I'll leave the comments to you. I probably would have found the patient's opinion to be more powerful if she had been previously hospitalized in the facility that is being closed. Thanks to Meg for the shout out on this issue! 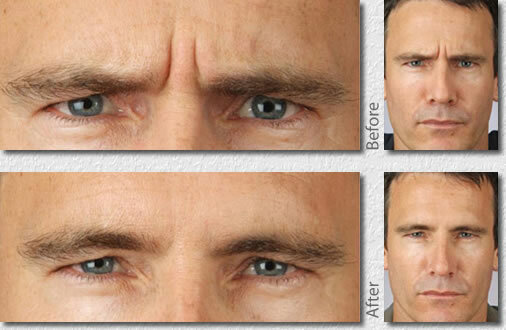 Does Botox Change The Shrink? So I'm a little older than I used to be and recently when I look in the mirror, I've noticed some lines in my forehead when I make specific expressions. I'm not so sure I like them; when they show up in photos, they definitely make me look older. And yet, I know that these lines aren't just from aging, they are an occupational hazard. Part of attentive listening in psychotherapy involves using your face to convey, in non-verbal ways, obviously, feelings and expressions and interest and even questions. These are my quizzical lines. Really? Don't you think you're kidding yourself there? Give me a break. Not a word gets uttered, but oh so much gets communicated in silence, with the movement of just a few muscles. Yes, Clink, here and there I have a moment of silence. A short moment, but still. Wrinkles as an occupational hazard. Every now and then I have the thought that maybe I should Botox those lines away, but my first thought is always, will it interfere with my work? Who am I as a psychiatrist without the Quizzical Look? Will my patients relate to me differently? Will they have worse/different/better therapeutic outcomes if my facial muscles are paralyzed? Oh, and since they came from my work, can I tax deduct the cost of botox treatments? No worries, I'll stay wrinkled....or quizzical....as long as Clink continues to be a nun look-a-like and Roy remains a geek. T for Two and Two for T.
Today's New York Times has an article about couple's therapy and how difficult this is to do. The piece is by Elizabeth Weil and is titled, "Does Couples Therapy Work?" I don't do couples work. I didn't plan it that way, but very early in my career, I realized I'd had minimal training in couples therapy and people with marital problems deserved to be treated by someone who had experience in this area. I do sometimes see my patients with their spouses, or even significant others, and it's always an interesting experience. I also hear from my patients that they will see their partner's therapist for couples therapy, and I'm never sure how that really works--- to me it seems that the allegiance, or agency, of the therapist needs to be clear. You're either working for the couple, or you're working for an individual. I don't know how you do both. Since I only do individual work, it's very clear to me: I'm aiming for what's in the best interest of my patient. While I may like or respect or wish the best for their parent/child/spouse/or roommate, my goal is to help my patient. Sometimes it's a single goal: It's never in the best interest of my patient to do something that will cause physical harm to anyone-- if for no other reason than I think my patients are happier when they live in a setting where they get treated by me, and not by ClinkShrink (--meaning, not in jail or prison). Sometimes I ask people to bring in a family member. Usually this is because either I need more information about the history, the current situation, or about what symptoms the patient may be exhibiting in their natural environment. More often, I ask people to bring in a family member because I need to enlist their help in either caring for a patient or monitoring them. Perhaps someone wants to go off a medication and past attempts have been unsuccessful-- it may be helpful to educate a family member as to what the symptoms of a recurrence are and an extra set of eyes may help catch problems earlier than I would be able to alone. Perhaps a patient needs more help in negotiating the day-to-day issues in life, like getting to a doctor to evaluate that mass, or to evaluate a memory problem. --They want me to fix the other person. (I can't do this). --They want to confront the other person about a problem in a place where they feel safe (Can I go home now?...This is never fun). --They just want me to meet the person they talk about a lot. (I often like meeting them and having a face and live person to put to the stories). --They want me to explain what's wrong with them to someone who cares but doesn't seem to understand (I'm happy to try). In a clinic setting where I see people for medication management, it's not unusual for people to bring family members into every session. The patient may not be someone who talks about their emotions or feelings, or even has any interest or ability to relay to me stories from their lives. Perhaps they have a brain disorder (like mental retardation or a history of a disabling stroke) and the medications are targeting disruptive behaviors or psychosis, and the person who comes is often the one to identify whether things are going well or not, in conjunction with the patient. What are your thoughts on bringing significant others to sessions with a psychiatrist?